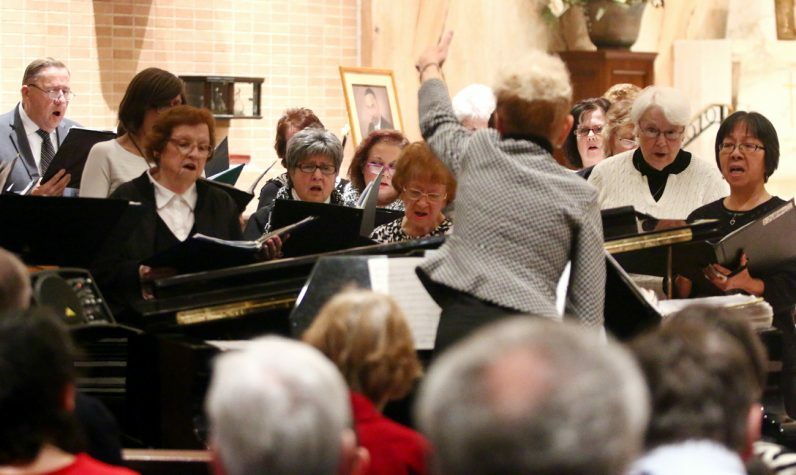 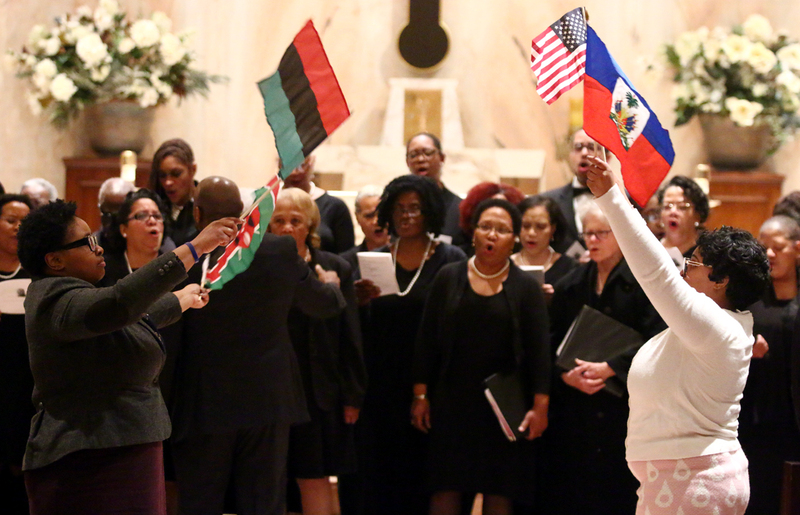 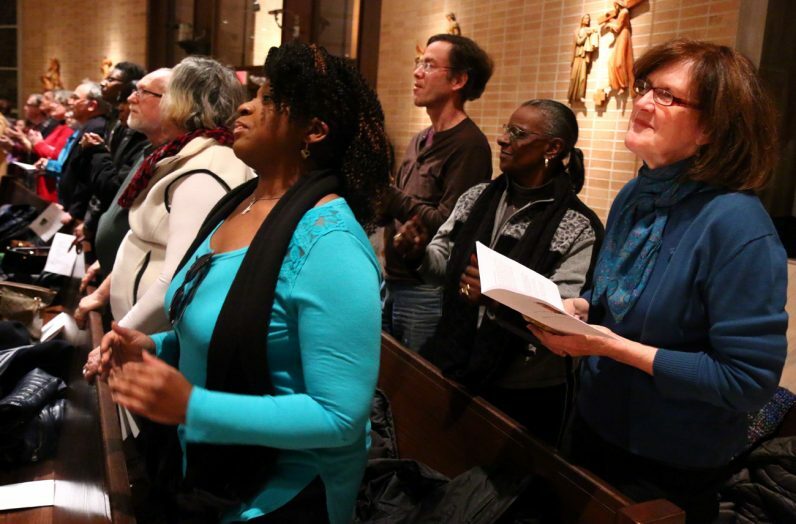 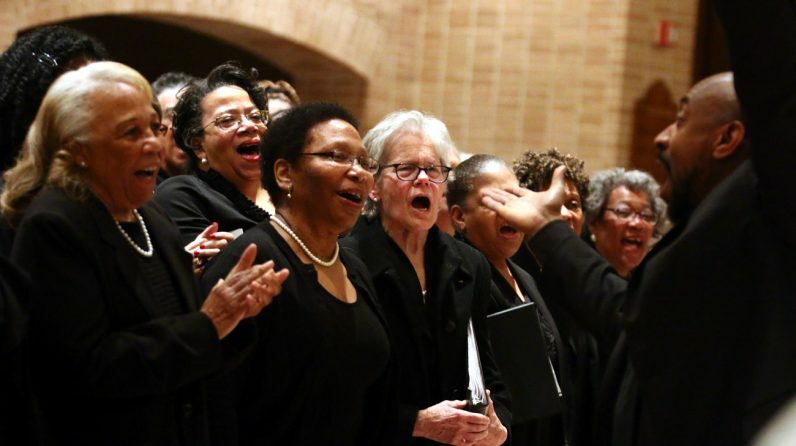 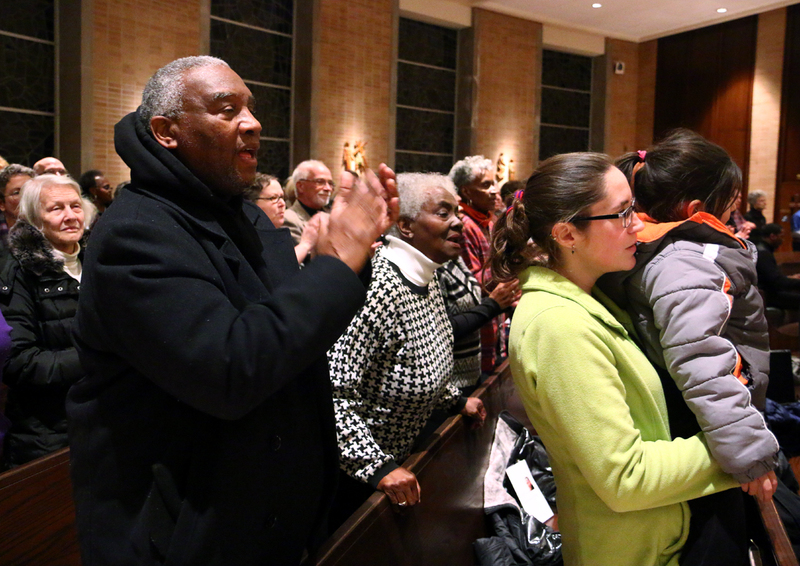 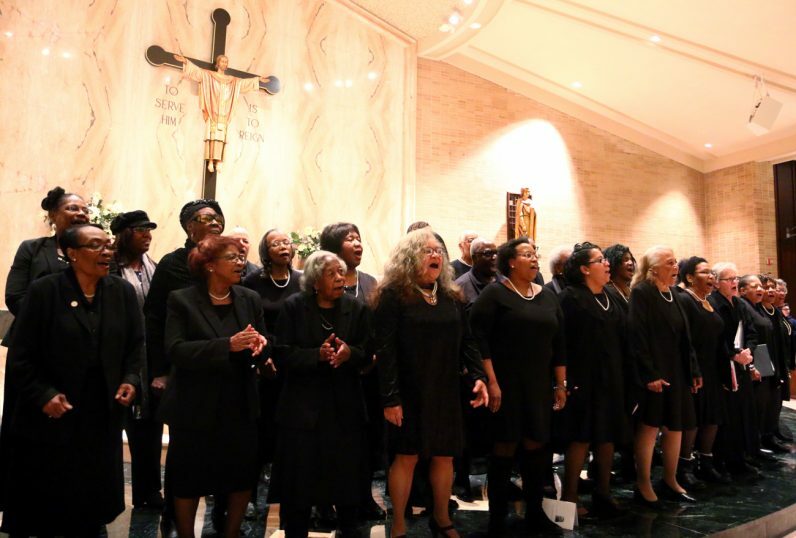 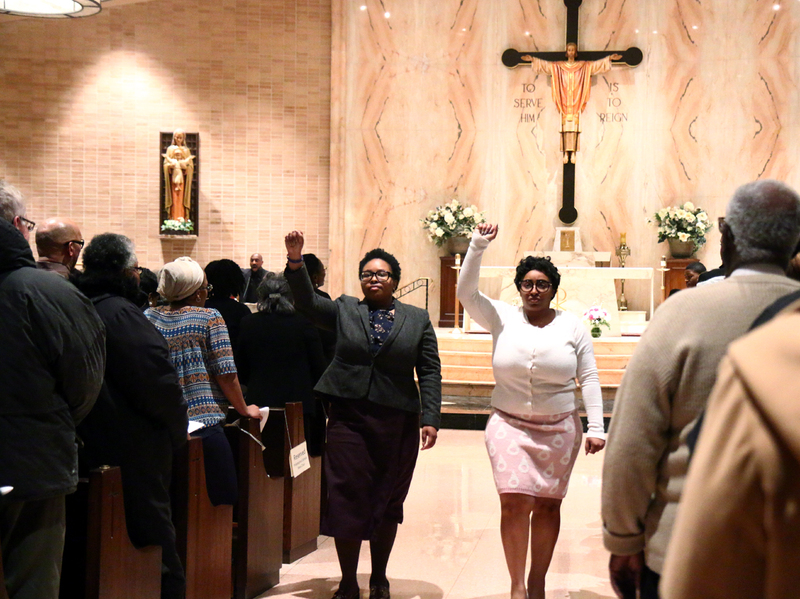 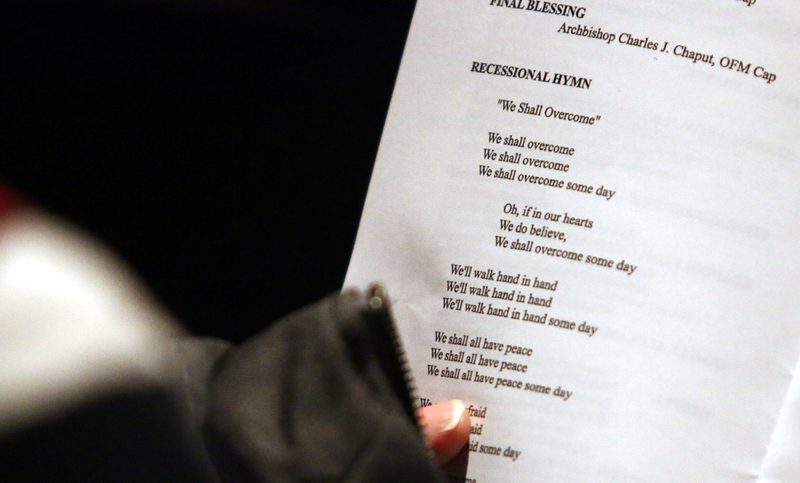 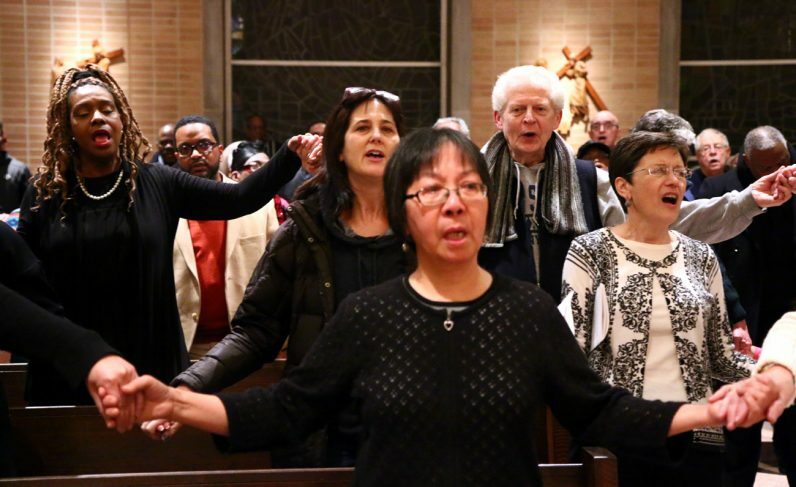 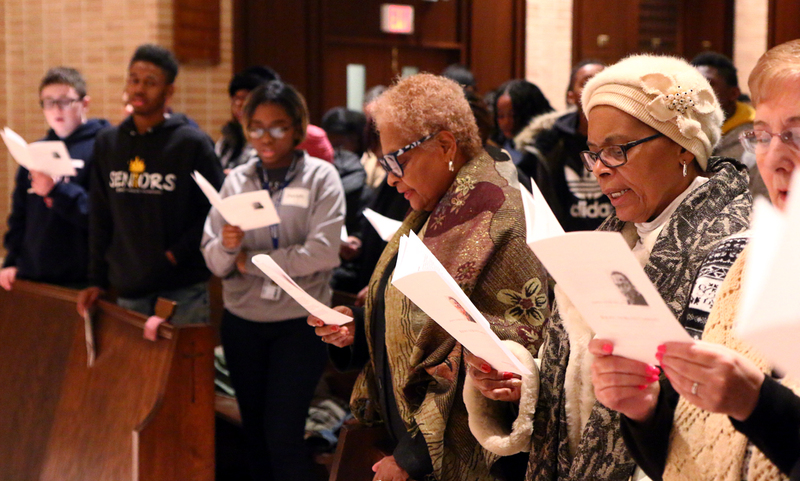 The St. John Chrysostom parish choir sings at an interfaith prayer service in honor of Martin Luther King, Jr. Day (Jan. 15). 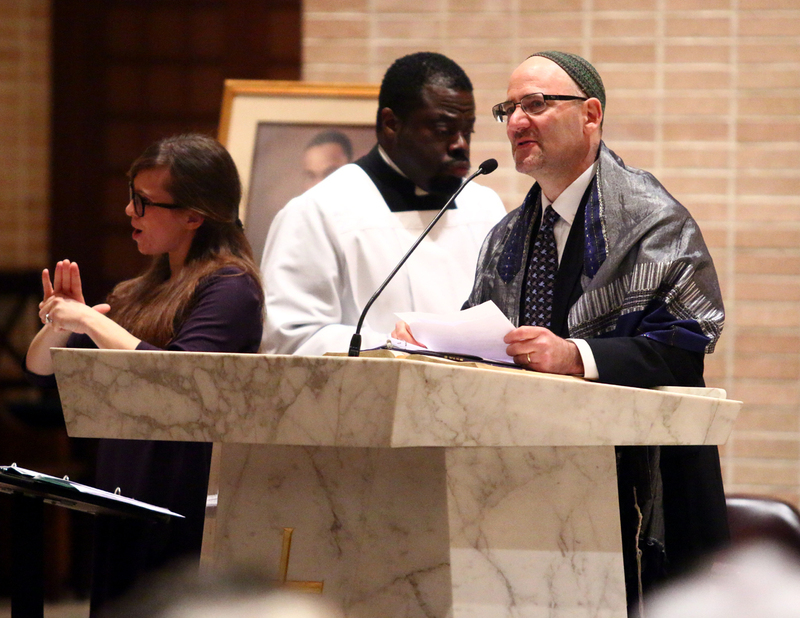 Rabbi Nathan Martin from Congregation Beth Israel of Media reads from Hebrew Scripture at an interfaith prayer service on Jan. 15, 2018 at St. John Chrysostom Parish in Wallingford. Rev. 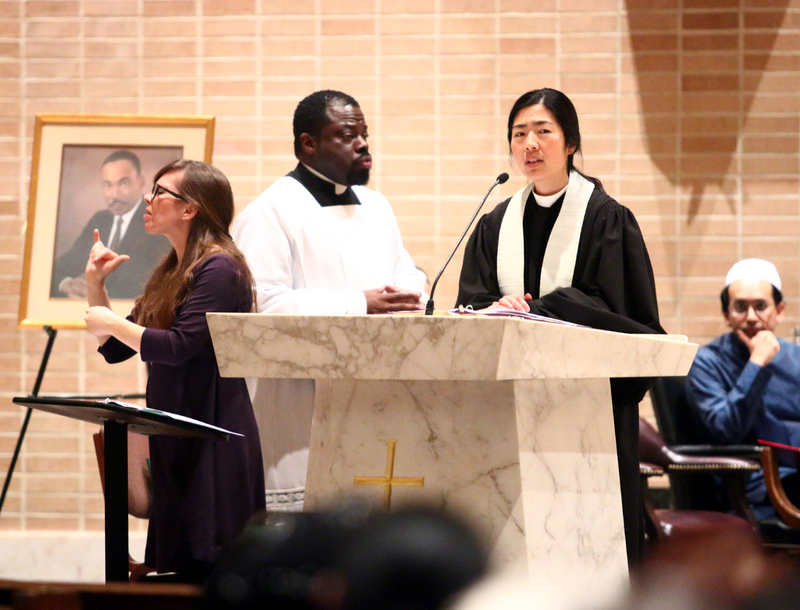 Joyce Shin of Swarthmore Presbyterian Church reads from Christian Scripture. 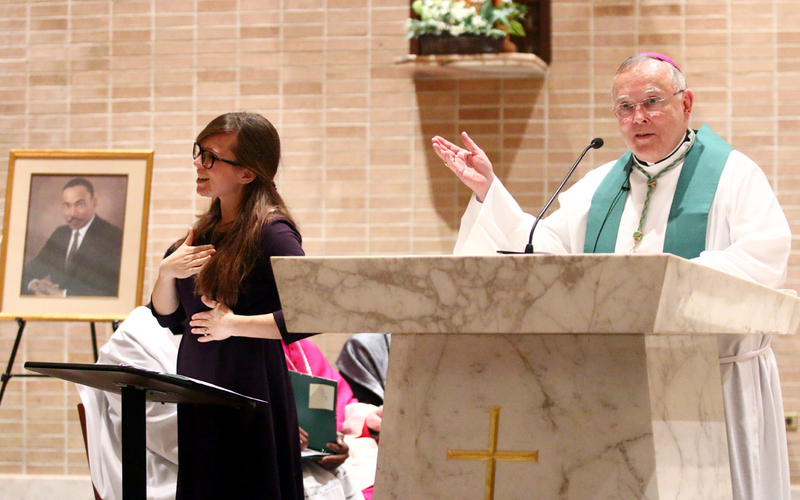 Archbishop Charles Chaput presides at an interfaith prayer service in honor of Martin Luther King, Jr. Day (Jan. 15, 2018) at St. John Chrysostom Parish in Wallingford, as an American Sign Language interpreter translates. 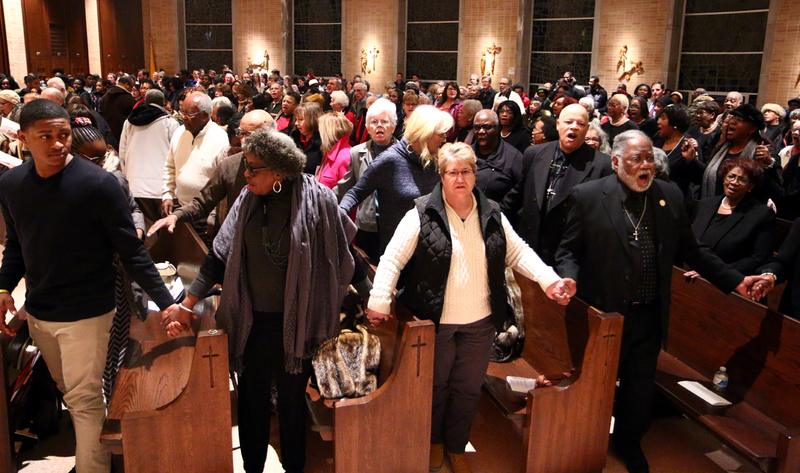 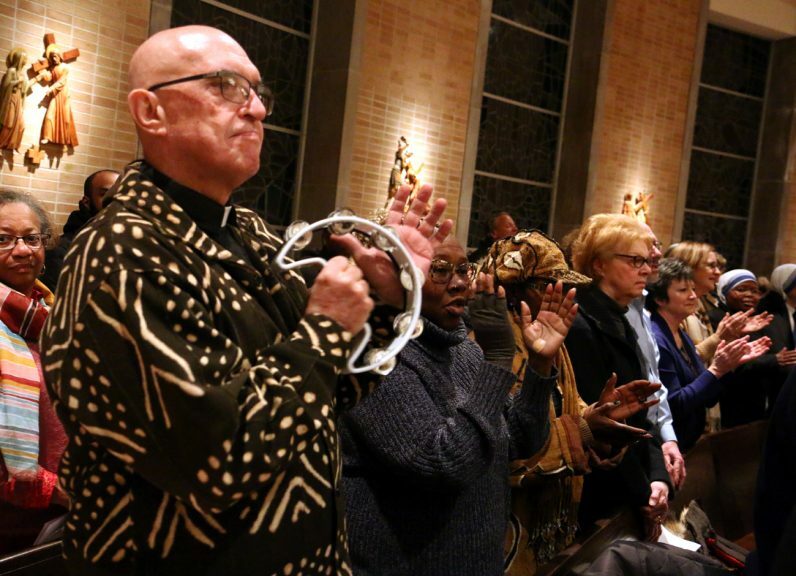 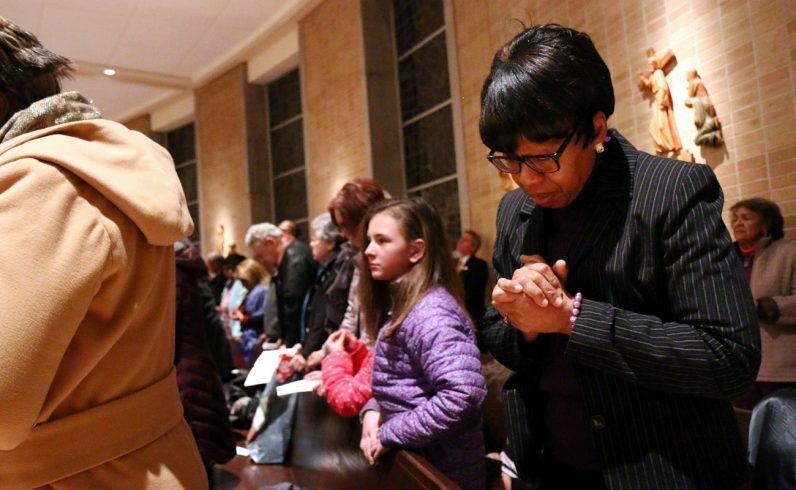 Barbara Kinch from St. Francis De Sales Church in Philadelphia prays at an interfaith service on Martin Luther King, Jr. Day (Jan. 15, 2018) at St. John Chrysostom parish in Wallingford. 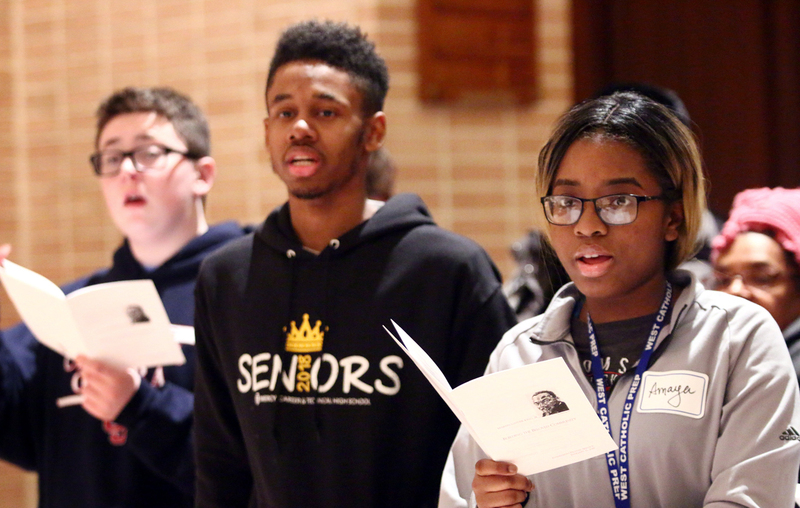 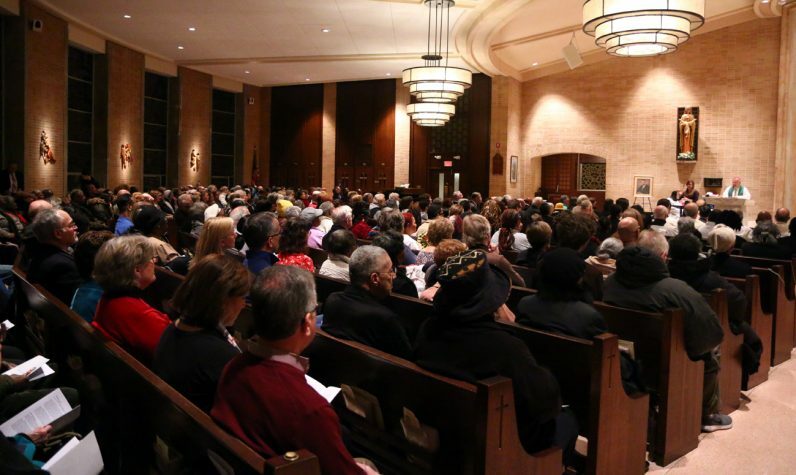 Gavin Lewis, a freshman at Cardinal O’Hara High School; Jahid Caldwell, a senior at Mercy Career and Technical High School; and Amaya Drew, a senior at West Catholic Preparatory High School were among students attending the interfaith prayer service after volunteering throughout the archdiocese on Martin Luther King, Jr. Day. 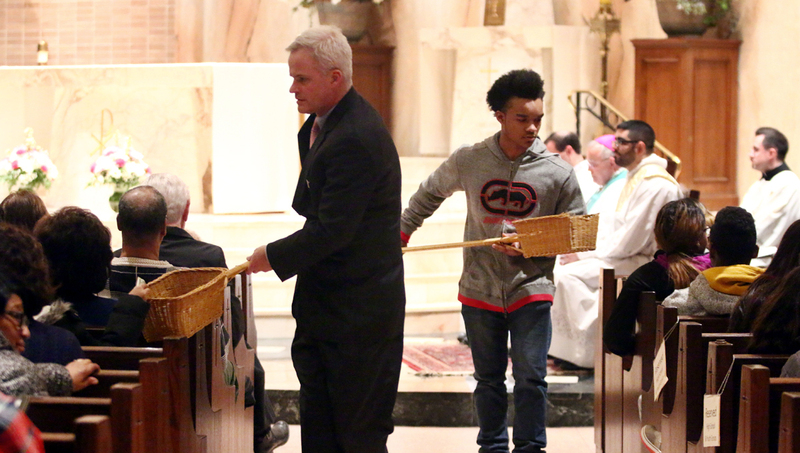 A collection is taken up for the Msgr. Mitchell Scholarship Fund, which supports Catholic, African-American high school students in the archdiocese who demonstrate both academic ability and financial need.